One of my finds at the Alabang bazaar is this Temp Alert child’s clothes. 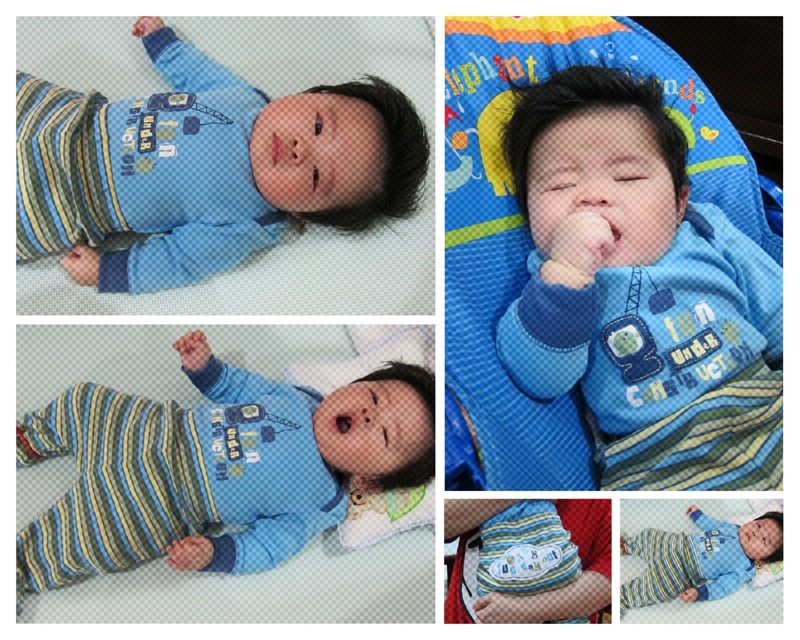 Yesterday, we had Warren wear the one we just bought – long sleeve onesie and pajamas. The Temp Alert has a patch at the back of the clothes that detects heat from the wearer. If it goes up, the patch turns light which means the baby has fever. These are really cute pictures and baby of course! Its nice to finaly see it on a actual baby. 🙂 I need bigger sizes already since he’s outgrowing them fast. Where can I get more?